You can make Acronis True Image execute batch files before and after the backup procedure, restoration process, or before and after the actual data capture. 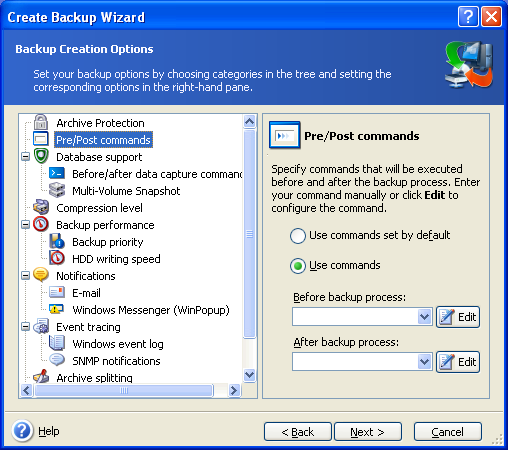 Acronis True Image runs pre commands before the actual backup or restoration process starts. 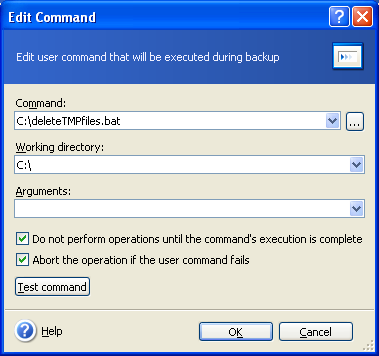 Acronis True Image runs post commands after the actual backup or restoration process is over. 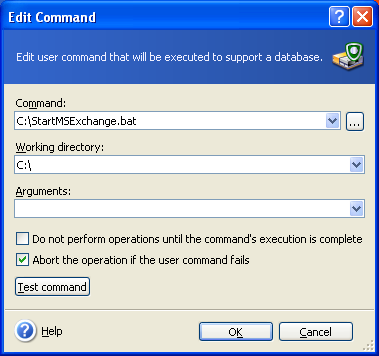 Specify the batch file that should be executed after the restore process. These commands are used to suspend database work for a short time to let Acronis True Image create a snapshot of the system. 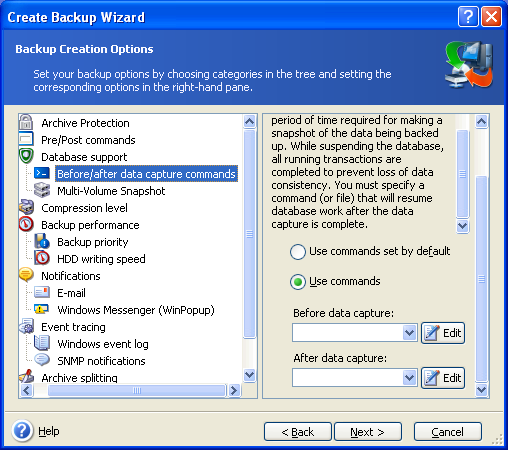 Acronis True Image runs Before/after data capture commands before and after the actual data capture (snapshot) and always before the backup process is completed. You can take a look at Difference between Pre/Post Commands and Before/After Data Capture Commands. System error 1060 has occurred. This is because the system services have their own localized names. You can run the net start command in the Command Line (Start-Run -> cmd) to view a list of running services. Use the names displayed there to replace service names in the batch files. If the service name has spaces in it, do not forget to put quotes around the name.